Kutztown High School football had been down before — down badly. But this might have been the very worst moment in a season of losing. Trailing at halftime, Kutztown head coach Joe Moyer needed to have a talk with his quarterback. “Who do you think knows this game better?” Moyer said to senior captain Josh Worman outside the locker room. Worman shrugged. Moyer answered for him. Worman handed his playcard to his coach and the two walked into the locker room, both still angry. The Cougars had started this October night 0-6 on the year, with just 18 players in uniform as they faced eastern Pennsylvania powerhouse Berks Catholic. Now, they were getting shut out 52-0. At halftime. There had been optimism just a few months before, in training camp, that one of the very worst teams in this football-loving state could finally turn things around. Instead, it was getting harder to figure out why anyone still played football at Kutztown. And a team full of characters was facing a big test of character. Kutztown is a small town with a population of around 5,000, about 50 miles northwest of Philadelphia, situated between a few eastern-Pennsylvania football hotbeds. Twenty-one miles northeast is Whitehall High School — the alma mater of former Penn State stars Saquon Barkley and Matt Millen — and the rest of the Allentown area. Eighteen miles south lies Reading, hometown to a number of famous football players, perhaps most notably another Penn State star, Pro Football Hall of Famer Lenny Moore. Kutztown itself does have a football history. Buffalo Bills legend Andre Reed played his college ball at Kutztown University, having grown up in Allentown. But, the local high school can’t boast much success on the gridiron. It has only around 450 students, and the Cougars football team is cobbled together with teens from both Kutztown and nearby Brandywine Heights High School. _ Kutztown completed its second-straight winless season in 2018. It last won on Nov. 4, 2016, beating Fleetwood, 21-20. _ That Fleetwood victory was 20 games ago. On top of that, the Cougars have lost 52 consecutive league contests. _ Kutztown scored 12 points this season. Allowed? 515. The Cougars played 10 times. Do the math. Moyer became the third head coach in as many seasons last spring, and thought he could turn the program around. “I’m from Kutztown. I’ve been there. I’ve been on the small teams and I played through it,” he said. “I just have a different demeanor toward kids than a lot of the coaches and teams have. Moyer had talent on the team to boost his hopes. His starting fullback, Caleb Rigel, was coming off a successful sophomore season during which he gained over 1,100 yards from scrimmage and scored seven touchdowns. Tyler Fisher, a star wrestler who is committed to continue that sport at Kutztown University next year, helped to form a strong duo with Rigel at linebacker on defense, and on offense, was the Cougars leading passing target. Girls playing high school football isn’t unheard of anymore, but it’s still rare to see a female play on the offensive and defensive lines. 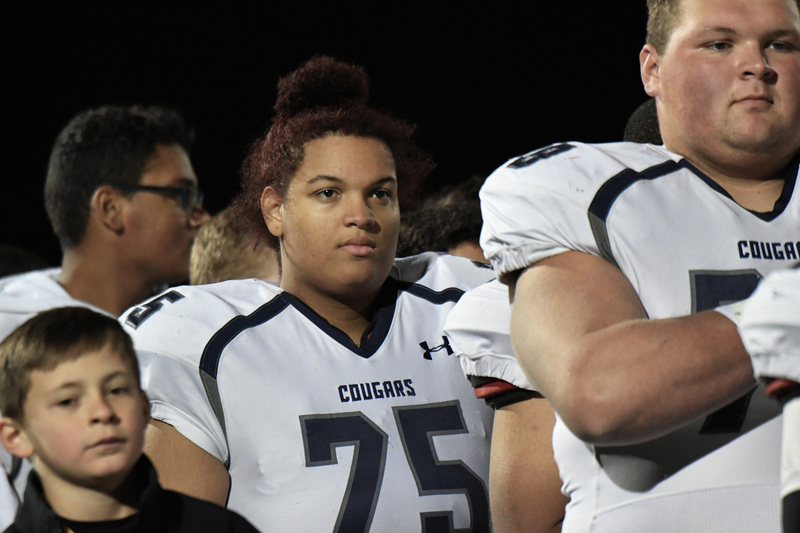 Meet starting Kutztown left tackle Ahlana Peartree, a bright spot for the Cougars. The 5-foot-10 Peartree started all but three games for the Cougars at left tackle, the position responsible for protecting a quarterback’s blind side — an important job, especially for someone who had never played a down of football. When Moyer was hired, he immediately went to the school to recruit players. He didn’t have to work hard to get Peartree to enlist. “She actually signed up,” Moyer said, and in a few days she was in the weight room lifting weights with the rest of the team. The weight room wasn’t a foreign place for Peartree. She threw shot put before joining the football team, and will again this spring. But track and football are totally different animals. Coming from an individual sport, Peartree said football is more complex, and demands teamwork in a way track and field just does not. But she wasn’t deterred by that, or the relatively small size of the team. What made gelling hard, though, was that Peartree felt she was going in blind, and always behind her teammates in terms of skills. That was even harder because some of the Kutztown players had been playing football together for years. She wasn’t really friends with many of the boys before the season. Now she calls them “brothers.” And the feeling is mutual. However, most of the Cougars opponents couldn’t even tell the gender difference until Peartree took her helmet off. “I mean, I think the best part is after the game when we’re walking across the 50-yard-line and you’re around [Peartree] and you hear the other team go; ‘Oh wait! That’s a girl,’” Seyler said. Despite coming off an 0-10 year in 2017, Kutztown’s non-league schedule in 2018 was brutal. After that season, Kutztown’s coach and athletic director at the time seemingly wanted to make a statement with the team’s opening slate of games this year: We’re not afraid. “[They] went into this season as, ‘Let’s set it up for power rankings,’” Moyer said, meaning take on the toughest competition they could schedule. So, Moyer was dealt a bad hand. His stated goal was just to make it through the first five games healthy — a key point for a team with 27 players on the roster — and hope for a win somewhere toward end of the season. It might have been a low bar for success, but Moyer had an upbeat outlook for the season. He added that if players were disengaged during practice and not paying attention, he wouldn’t have so much optimism. But that’s not what he saw, and a visit to a Cougar practice in preseason showed every player focused on the tasks at hand, be it kickoff drills or a simple walk through. Still, that faith was tested at the first whistle. Kutztown opened the season with an hour’s trip south to Conshohocken, Pennsylvania, to face Philadelphia-area Catholic school Pope John Paul II. The Golden Panthers returned the opening kick of the season 35 yards into Kutztown territory, and it set the tone for the game. Kutztown didn’t muster a single first down on offense and was shut out, 51-0. The defense was better in the second half, giving up just three points, but that was mostly against Pope John Paul’s backup players. What made matters worse, Moyer’s hope to get through the first five games healthy went unfulfilled. 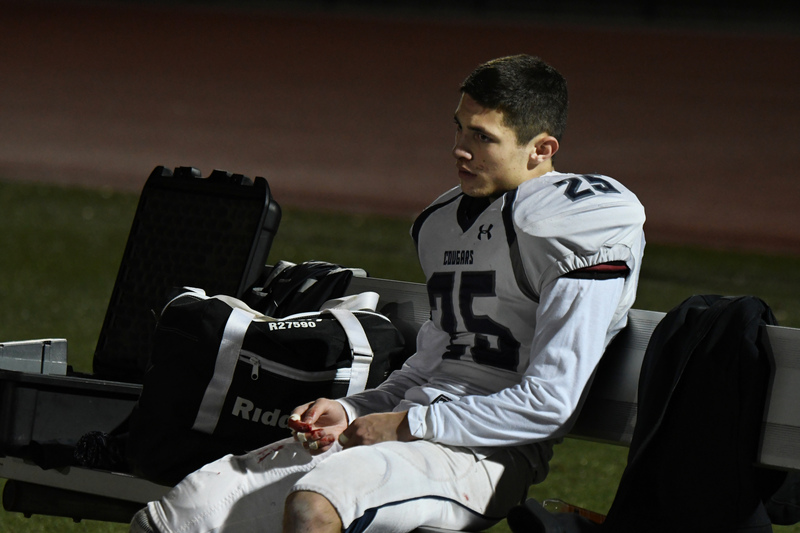 Caleb Rigel, the star running back, went down with a knee issue late in the second quarter. The Cougars were already behind 48-0. He and safety Chad Kardohely missed the end of the game, but thankfully for Moyer and the team, the pair avoided serious injuries and played the next week against Upper Perkiomen. After getting blown out by over 50 points, most teams would be hanging their heads and searching for answers. Kutztown was shut out the next week against Upper Perkiomen, but Week 3 was a special moment for the Cougars. Against Pottstown, Kutztown played for the first time at its home stadium since a $3.4-million renovation that expanded its capacity to 1,500 and improved hosting of other sports such as track and soccer. Despite the team’s struggles, there weren’t many empty seats. Perhaps the energy of the home crowd motivated the Cougars to score for the first time all season. And then again. 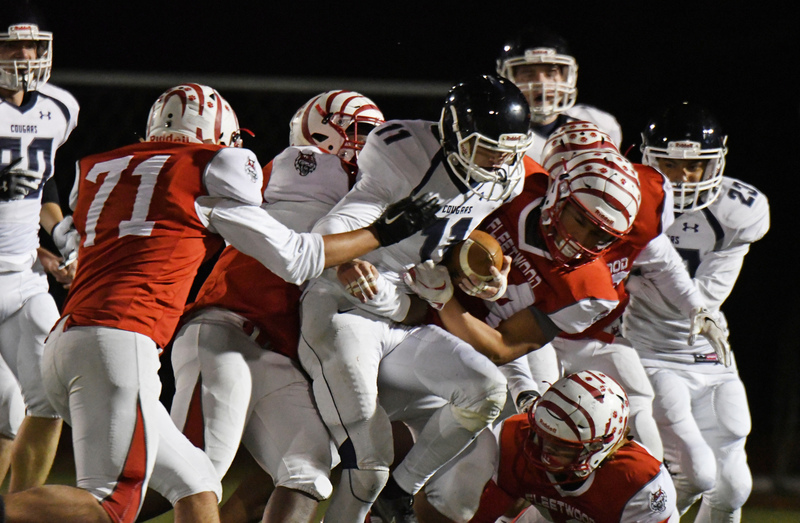 The Cougar offense ended the third quarter with a turnover on downs deep in the red zone, but then, on Pottstown’s ensuing possession, the Trojans fumbled a handoff, Rigel scooped up the ball and took it into the end zone for six. Even with another rushing touchdown later in the fourth quarter, the Cougars were dispatched 42-12. Still, it was progress. Rigel stands out from the rest of Kutztown’s players. He’s one of the bigger non-linemen on the team at 6 feet, 195 pounds, but he’s also one of the fastest. In his sophomore season, he was one of Berks County’s top 10 rushers with 868 yards and five touchdowns while averaging 5 yards a carry. But Rigel sees his future on defense, as an outside linebacker. His coach thinks he may even be gifted enough to play Division I football. Another thing about good players, though, is they like to win. So much so, that Rigel considered following a former Kutztown running back to another program. Logan Bachman was the Cougars starter during his sophomore season, Rigel’s freshman year. He transferred Allentown Central Catholic after that year and rushed for over 2,500 yards the past two seasons. After winning four games that 2016 season, Kutztown went 0-10 without Bachman in 2017. Rigel starting having thoughts of doing the same before the 2018 season, with the program making a coaching change for the second time in his career there. He had a discussion with Moyer in the preseason about it. Other factors forced Rigel’s decision for him. Staying kept Rigel with some of his friends like seniors Seyler and Tyler Fisher, with whom he had played football for years. As fate would have it, it wouldn’t have mattered so much where Rigel played the season. After recovering from his Week 1 injury, he wasn’t so lucky four weeks later against Morrisville, sustaining a torn right ACL and meniscus early in the game. Playing on defense, Rigel blitzed, but had to redirect after getting blocked by the opposing running back. He planted his foot and heard a loud pop. At first he didn’t think it was serious, but the team’s trainers were able to make a probable diagnosis before the game ended. His season was over. He never got the chance to prove his decision to stay at Kutztown worthwhile. Luckily, he still has one more season of high school left. His senior year will be crucial as his goal is to earn a football scholarship. Despite the injury, Rigel is still hopeful. With only around 450 students, Kutztown doesn’t have the largest pool of great athletes from which to pull. However, there are top schools in Pennsylvania with smaller in enrollments, such as Southern Columbia High School. Southern Columbia had only 409 students, but went undefeated this season and won the PIAA Class 2A state title. The Cougars also are successful in other sports. In 2017-18, the boy’s basketball team had an outstanding season, sporting a 20-5 record and earning a top-300 ranking in the state. But with football, the team has won four or five games in decent seasons here and there, but hasn’t had much success past that. Students at the school just don’t want to play. 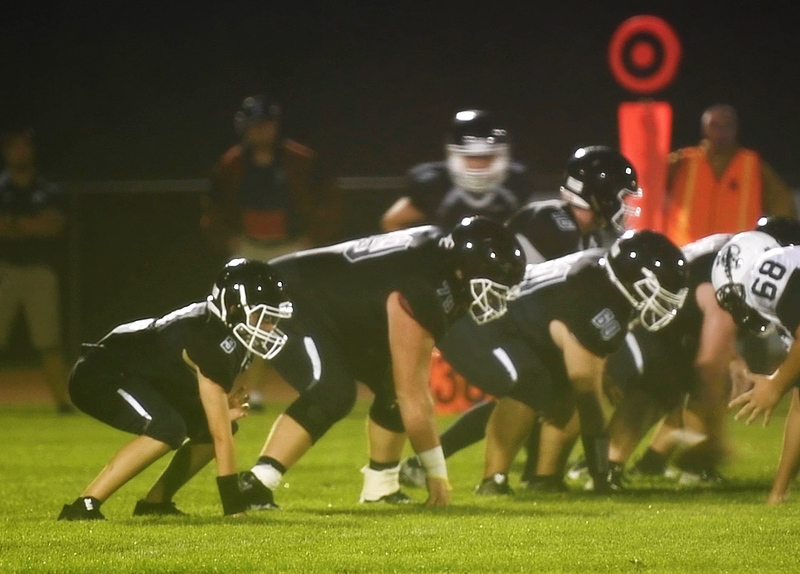 In many American high schools, the football players are typically the cool kids and that may be even more true in a state such as Pennsylvania. That’s not how it works at Kutztown. “No one wants to play because we lose,” Rigel said. “It’s hard when you don’t win a game to go up to someone say ‘Hey, play for football,’ and their immediate response is, ‘You guys don’t win. Tyler Fisher, the football player and star wrestler, recalled a specific instance when other students at the school were mocking the team’s quarterback at the time. Seyler wishes it were different, but the fact that other athletes won’t even give the team a chance bothers him the most. “It’s just, ‘No,’ right off the bat,” Seyler said. In 2017, Kutztown had to forfeit the game against the Saints because it didn’t have enough players. This time Kutztown wanted to make a point of competing. But thanks to a slew of concussions and other injuries, the Cougars dressed only 18 players. Peartree had to watch from the sidelines as she was academically ineligible for the contest after missing several days of school due to illness. It was an impossible situation against the defending district champions, and the Cougars played like it. Things got off to a poor start after Fisher injured his wrist while making a block on the offense’s first series. His parents were worried about playing Berks Catholic due to the small roster and quickly pulled him from the game. Linebacker and tight end Michael Lafferty also exited early after breaking his wrist. Soon enough, the Cougars were down 52-0. But with less than a minute to go in the first half, the offense started to move down the field as Worman completed a pass to get Kutztown a first down in Berks Catholic territory. Watching the clock tick down, Worman made the signal to spike the ball, hoping he could run another play. The Kutztown coaches were yelling at him frantically not to spike the ball. He ignored them, but he shouldn’t have. The clock kept going because both teams had mutually agreed to running time after the Saints were already up 32-0 in the first quarter. So the spike inadvertently ran out the clock and it was halftime. Moyer saw Worman’s spike as a sign of disrespect, and it triggered their argument, which ended with the coach telling his quarterback to take off his pads. Their exchange outside the locker room found its way in front of the team as Worman removed his pads changed into street clothes. “This is why Kutztown football will never succeed!” Moyer yelled, as Worman defiantly said he was not quitting on the team, but on Moyer himself. That’s when Tristan Stoess, one of Kutztown’s running backs and the player who lost out to Worman for the starting quarterback job, spoke up. It wasn’t much of a surprise that Stoess was the one to rally the locker room. His father and Cougars defensive coordinator, Joe, is the most vocal of the coaches. “He’s a natural born leader,” Moyer said of him after the game. After he delivered his speech in the locker room at Berks Catholic, the team made some adjustment due to injuries, including players switching jerseys so some would have the right numbers to play on the line. Then it was time to go back out. Stoess led the offense for just the second time of the season. Kutztown had just two players left on the sideline. Kutztown received the ball to start the half and Stoess directed the offense to a pair of first downs. He got the team into Saints territory and a fourth-and-short situation. Then, in what seemed like a metaphor for the season, he threw an interception while trying to target running back Max Meitzler. But the Cougars didn’t quit. Meitzler chased the Saints defender all the way down to the 25-yard line and stripped the ball away. Kutztown came up with the fumble and the offense stayed on the field. Kutztown never scored against Berks Catholic that night — final, 64-0 — but plays like that interception-fumble made the Cougars come back every Monday, even without a taste of victory. Fisher played football with Seyler, Rigel, Lafferty and others for years before high school. Most of them had other opportunities to go elsewhere. They all chose to stay together. However, there’s plenty of other kids on the team who didn’t grow up together, like Peartree and Steven Reiss. Both of them are seniors. Both of them decided to join a losing football team. Both of them had never played organized football before this year. “Joining a team that hasn’t been so competitive in a lot of ways was able to help me because I was able to have the opportunities I wouldn’t have had if I was on a 60-plus person team,” Peartree said. “On a team where they don’t do the best, every person counts. Every person matters, and you get treated with a lot more respect and value because of that. Reiss was one of the few athletes from a different team the Kutztown players were able to recruit. Only he came from an unlikely place. Reiss traded in his golf spikes for football cleats, having just finished his season for the Kutztown golf team. The first game he attended was Berks Catholic. He didn’t play that night, but he did in the last three games of the season. He went against the culture of athletes from other teams not wanting to play football. “Going against something, just you yourself, is better if you know it’s the right thing,” Reiss said. Reiss was recruited to play by Worman, the same quarterback who walked out of the locker room during Berks Catholic game, and Moyer said Reiss had no obvious reason to come out for the team. But he found something. After the clock ran out in Kutztown’s 64-0 loss to Berks Catholic, Saints head coach Rick Keely came over to the Cougars huddle. He did something that further inspired the team’s love of the game. Keely could have simply moved on from yet another blowout as part of the Saints tremendous season, one that ended only with a loss in the district title game. But, Keely knows what Kutztown is going through. He once coached a 1-10 team, he said. The message resonated with the Cougars. Kutztown suffered its worst loss of the season the week after the Berks Catholic game. 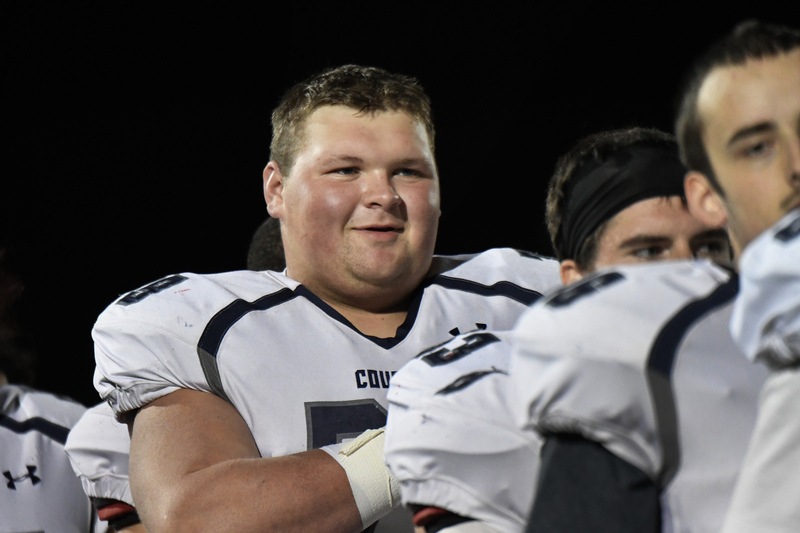 The Cougars were blown out 71-0 by Wyomissing for their 50th straight league defeat. They were then shut out by both Hamburg and Fleetwood, teams with two of the worst records on their schedule, to end the season. After the loss at the hands of Fleetwood, emotions flowed for Kutztown’s seniors. The 6-foot-4 Seyler was in tears, but not because the team lost. Because it was the last time he would don the Kutztown’s blue and white uniforms. While he plans to play ball again, next year at Thaddeus Stevens College of Technology, Peartree gets ready to throw the shot in the spring and Rigel works to rehab his knee, Moyer plans on going to every other sporting event at both Brandywine and Kutztown in hopes of recruiting other players from other teams, using the example of Reiss. We were there when the Cougars began football. We went through many 0- season years, but they never gave up! They fought, scratched and clawed their way up! You can do the same! Moving, it’s what competition is supposed to be, doing your best! Moving, it’s what competition is supposed to be, doing you best!